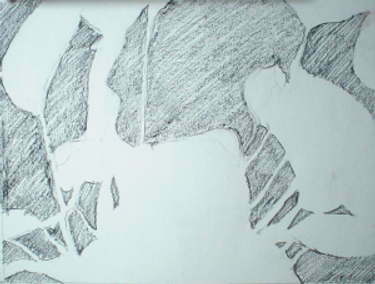 In this lesson, you are coming to the next pivotal element of drawing: negative space drawing. In my first four drawing tutorials you have already learned how to see and draw edges. Adding the knowledge of negative space, you will learn to draw even better. Negative space drawing is not taught very often, and the concept can be elusive because it is a very different way of looking at things. Instead of looking at objects, you are supposed to look at where the objects aren't. Learning to do negative space drawing not only helps you draw accurately, but also strengthens you composition. I am positive that once you learn how to identify and draw negative spaces, your work will take on added sophistication! So, What Are Positive and Negative Spaces and Why do I have to learn about negative space drawing? Positive space refers to objects themselves. Negative space, on the other hand, refers to the shapes of spaces between and around objects. Bear with me if this sounds too abstract. I like to think of positive spaces as “occupied” by solid objects, while negative spaces are the areas “filled” with air or other things invisible to the eye. Both spaces have their distinctive “shapes”. Those shapes are “shared” by edges (I like to call them boundaries). In the previous drawing tutorials, you have learned to draw the shared edges. 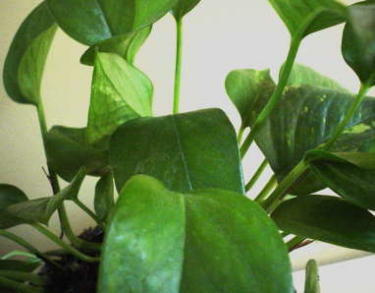 To illustrate the importance of negative space drawing, look at the picture of the indoor plant. It appears complicated, doesn't it? If you focus on the edges and lines, you will probably spend quite a lot of time getting the edges right. How will you draw it? Copying the lines around the things you call “leafs” (remember to avoid labeling what you are looking at as much as possible)? Okay, gaze at the “hollow” spaces among and around the leafs. Concentrate on the individual shapes of the voids, and mentally tell yourself that these are what you are going to draw. An easy way to spot and follow these shapes is to draw them according to the colors. For example, instead of drawing green objects, you are drawing white spaces. Once you have your eyes fixed on what you are drawing, place horizontal and vertical lines through the center of your drawing paper and the picture your are copying. This will create a simple grid which will help ensure that the shapes you draw are in the correct relative places on the picture plane. Very important! You can start anywhere in the image that you want. If you are right handed, you might start from upper left corner and proceed from top to bottom. Draw one white space at a time for this exercise. You might find it easier if you start near the intersection of your “cross hairs”. Note how close the adjacent white spaces are to each other. When you finish the line drawing, you can shade the shapes to make it even more interesting. A negative space in drawing also can be found within “solid” objects, and they do not have to be enclosed. For instance, take a look at the sketch of an angel from “Virgin of the Rocks” by Leonardo da Vinci. If asked to draw her face, most people will draw an oval outline first and place all the features within that shape. And somewhere along the way they get stuck, unable to get the likeness right. But with your newfound knowledge of negative space, you can spot those intricate spaces between and among the edges and lines and add those shapes to the solid shapes that have already been placed. By placing pockets of negative spaces as accurately as you can in relationship to the whole, your contour drawing of the angel will come easily. 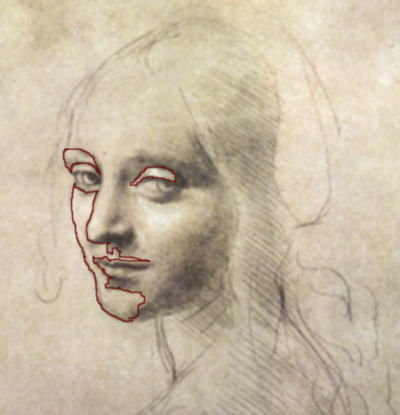 You are not only looking at the lines (edges) that frame her face, you are also working “inside out” by isolating and framing the shapes within the larger outline of her face. By paying attention to the surrounding spaces when you draw the edges of the nose, eye lids, and mouth, you will achieve a good likeness of your portrait subjects. I use this technique a lot when I do portraits. You will be amazed at how the most minute change or shift in adjacent shapes changes the whole face. If drawing a portrait has been a struggle for you, then mastering negative space drawing is a vital tool to learn.